New Delhi, August 1: Rohingyas do not have the status of refugee but are illegal migrants and therefore they are not entitled to any Government facility. This was said by Minister of State for Home Affairs Kiren Rijiju on Tuesday. 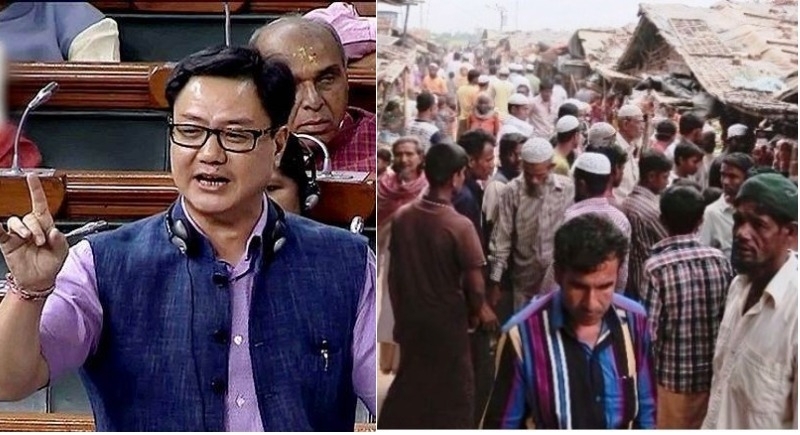 Responding to a series of supplementaries in Lok Sabha, Minister Kiren Rijiju made it very clear that Rohingyas do not have the status of refugees, but are illegal migrants. He further added that since they are illegal migrants, they are not entitled to any Government facility. He stated that some of the Rohingya migrants living in India have been involved in illegal activities. "Their entry is illegal. They are living here illegally. There is no question of providing them any facility from the government. We are not here for giving rights to illegal migrants,” Kiren Rijiju said. The Minister also asserted that the priority of the Government is to take care of the rights of Indian citizens. While Home Minister Rajnath Singh informed the House that though states have a right under the Foreigners Act to deport illegal migrants, states have been directed to carry out an enumeration of such illegal immigrants.